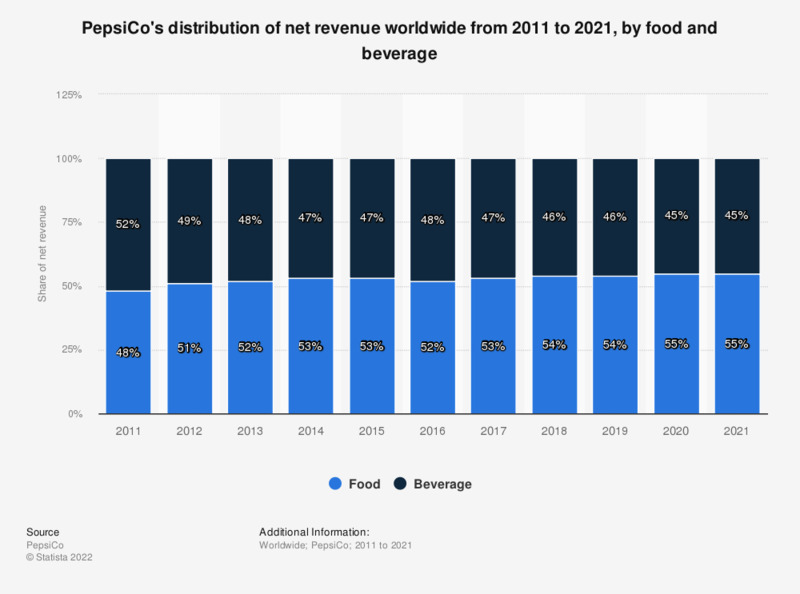 This statistic presents PepsiCo's distribution of net revenue worldwide from 2011 to 2018, by food and beverage. In 2018, some 54 percent of PepsiCo's worldwide net revenue was generated from food sales. PepsiCo is a multinational food and beverage company, based in Purchase, New York.